I don’t have a lot of MAC greens, but the few I do have I find notable. 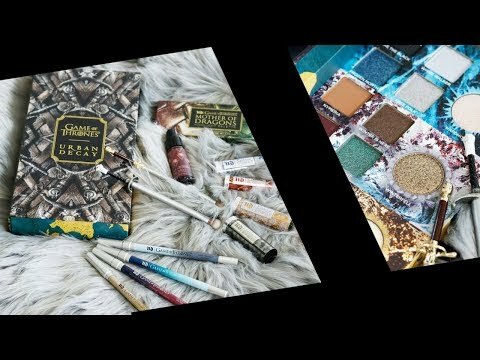 After I’d dug out my neutrals and swatched them, I figured I might as well hit the greens. I prefer yellow-greens or deep greens, but my greens seem to run the gamut of shades. 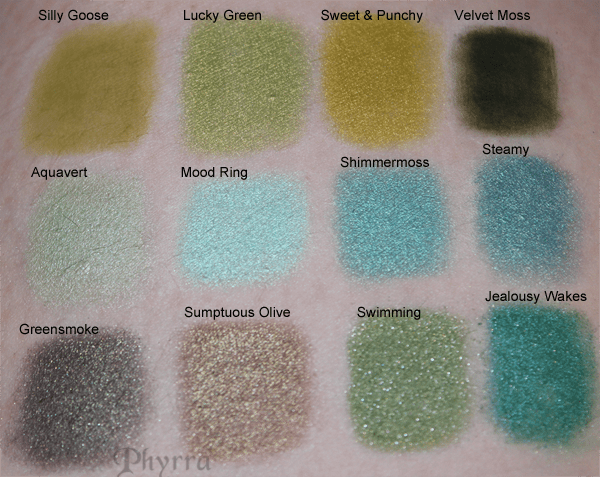 Sweet & Punchy, Shimmermoss and Jealousy Wakes are my favorite, though I really really like Velvet Moss and Silly Goose. Do you like green eye shadows? Do you have any of these greens? What are your favorite green shadows? Some products purchased by me. Other products were gifts from friends or family. All opinions are my own. It is an awesome green. I’ll check through my greens, maybe one of the colors I have is close to it. I know one of the Detrivore Greens was similar. I love greens but I think I only own 2 mac Greens, Bitter and Swimming and I think I just wore those once each lol. I just have too many to use over and over unless it’s like a really good crease colour I can use with many looks. I hate it when you’re torn on whether or not to use a color. I just do it anyways, these days. I personally don’t let myself get affected by the brand reputation of MAC anymore. Like what Sandra said, I would much rather buy other products that would be better quality for a much cheaper price. 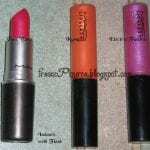 I own a lot of MAC since I used to wear exclusively MAC. I started collecting it in 1999. 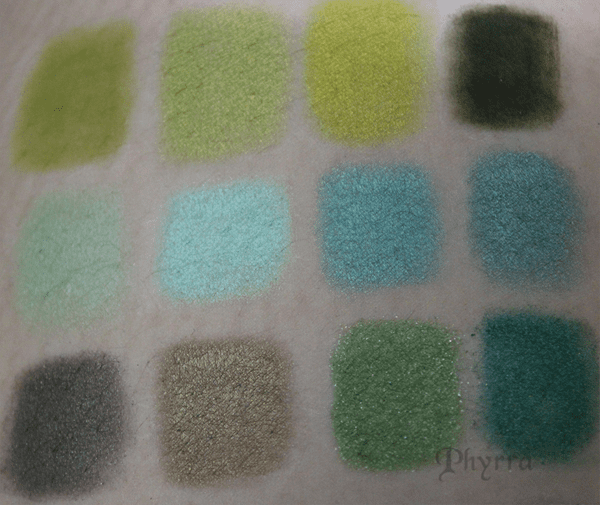 I definitely think Inglot and Sugarpill are better bang for your buck these days, but I thought it would be nice to swatch the colors. With MAC, I own Bitter, Swimming and Humid for the greens. Before I had any idea what I was doing, I loved using all 3 with Electric Eel to make my eyes look super dramatic. DISASTER. Green is one of my favorite shades for shadow! I’m weird in that I didn’t like Electric Eel that much because I found it hard to get good color payoff. I’ve never tried Bitter, but I did think about Humid. I bet they would all be dramatic together! I love the square swatches. I wish they had an ‘Electric Eel’-like green shade. Mint is quite close, but it’s so chalky and Bitter is far too light. I have some physician formula gel eyeliners and I really like them, u get 3 or 4 in a pack for a good price! My favorites here are sweet & punchy, jealousy wakes and greensmoke! I really adore Sweet & Punchy. Ive got Sumptuous Olive – and a bunch of other non-green MAC shadows – and like the shade but not the texture of the shadow itself. I’ve stopped buying MAC shadows altogether simply because I can get much better quality products at cheaper prices in either mineral shadows or other brands. MAC has seriously lost a lot of its appeal for me. Jealousy Wakes looks nice but when I tried it in-store, I again found the texture of it to be off-putting. So I never bothered picking it up. I’d rather buy Inglot products.